Welcome to Peapod Learning Center! 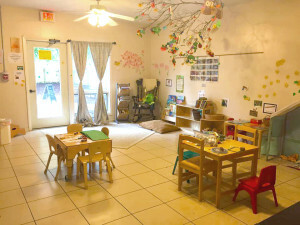 We are an in-home, licensed childcare facility that serves children ages 6 weeks to 24 months. We look forward to partnering with you to meet the needs of your child and family. Infants grow and learn every day. Peapod Learning Center offers a safe and nurturing environment where infants feel comfortable to explore and discover the physical and social world around them. Infants will have the opportunity to participate in activities such as singing-songs, using their 5 senses, communicating with others, playing with blocks, and expressing themselves through art. Nurturing, personal attention that builds your child’s self-confidence. Teacher-child interactions that create curiosity and opportunity for socialization. Planned indoor and outdoor activities that encourage and stimulate the cognitive, emotional, social and physical development of each child. Age-appropriate materials and equipment that encourage learning and development. Regular communication between teachers and families, including daily updates about your child’s naps, meals and overall temperament. A safe environment where your infant has the freedom to move and explore.